The great promise of 3D printing is creating an era of mass-customization – products tailored specifically for us. 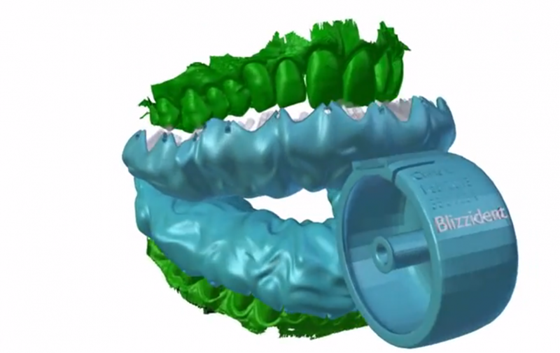 The Blizzident is a tooth “brush” that is customized to the shape of an individual’s mouth. A user merely has to bite on it and chomp for six seconds and the designers claim that teeth will be cleaned up and down as well as side to side. To get one somebody merely needs to visit their dentist who can make an impression of their teeth which is then sent to Blizzident’s offices. Blizzident then produces the customized brush for $300. This might be a hard sell though since most toothbrushes have to be replaced every three months and if the same is the case with Blizzident then consumers will find it a tad too pricey.